New Homes in Austin's Hill CountryFrom the mid $500s Looking for a new home in Austin? 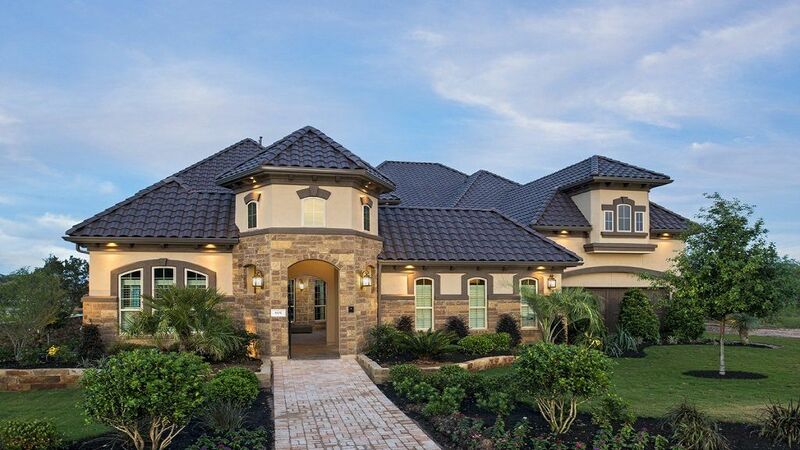 Find it with a new Taylor Morrison home at The Grove at Steiner Ranch. Nestled between Lake Austin and Lake Travis, gorgeous Steiner Ranch offers some of Austin's most sought-after real estate. Residents will enjoy full access to all Steiner Ranch amenities, including three community centers with pools, a lake club with access to Lake Austin, tennis courts and miles of hiking and biking trails, and Steiner Ranch is home to the University of Texas Golf Club. The Grove at Steiner Ranch is one of the last opportunities to own a new home in this highly desirable master-planned community. Located in a breathtaking natural setting on 55 acres, The Grove at Steiner Ranch is a secluded, gated community with just 84 home sites. 100 Reasons to Love Steiner RanchDiscover New Homes in Austin at The Grove at Steiner Ranch New homes at The Grove at Steiner Ranch in Austin are a must-see. The Grove at Steiner Ranch offers a stunning collection of artfully designed one- and two-story homes priced from the mid $500,000s. These beautifully designed floor plans make the most of Hill Country living with elegant entryways and living spaces, expansive master bedroom suites and impressive design elements. At The Grove at Steiner Ranch, you'll explore 11 distinct floor plans, including the Taylor Morrison's single-story Cordoba and two-story Tuscany floor plans. The homes range in size from approximately 2,850 to 5,100 square feet and offer enticing design options to help you make the most of life in your dream home.Things to do in Austin at The Groves at Steiner Ranch Just minutes away you'll find great dining and shopping at Hill Country Galleria, with popular stores like Dillard's, Jos. A.